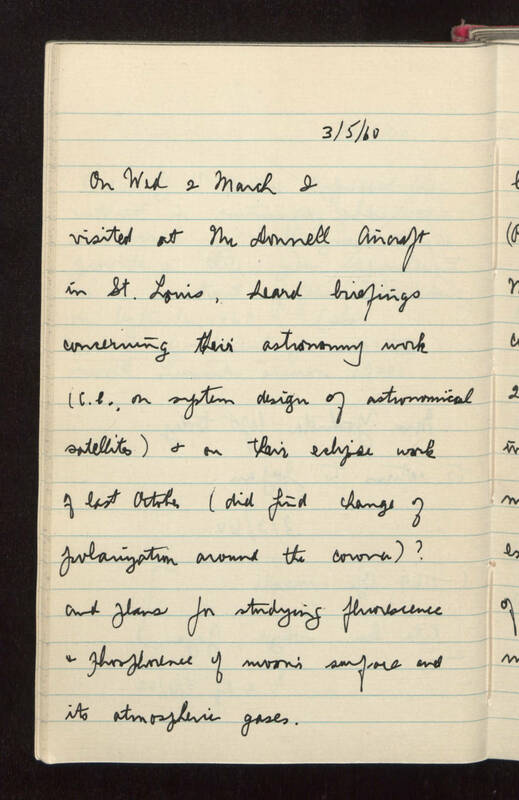 3/5/60 On Wednesday 2 March I visited at McDonnell Aircraft in St. Louis, heard briefings concerning their astronomy work (i.e. on system design of astronomical satellites) and on their eclipse work of last October (did find change of polarization around the corona)? and plans for studying fluorescence and phosphorescence of moon's surface and its atmospheric gases.